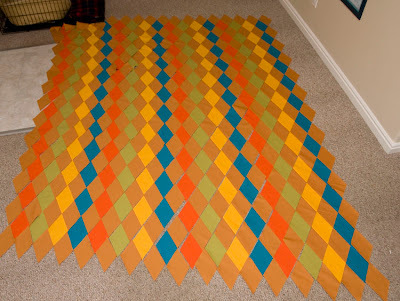 All piecing instructions will post tomorrow morning. 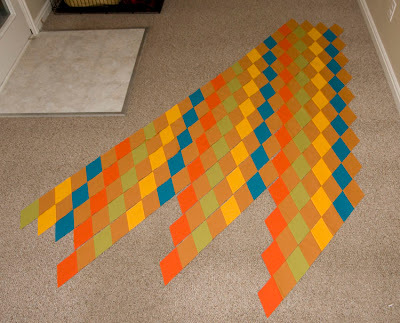 The quilt is pieced in seven sections described in four different posts. Make sure to check them all. 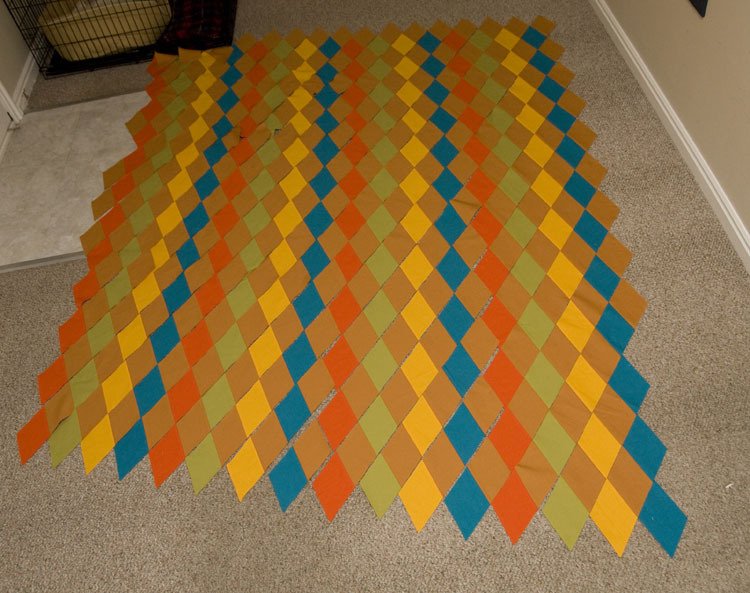 Although I will provide piecing instructions on how to piece the strips for the quilt, I thought it might be helpful for you to see how I laid out the quilt in the first place, especially for those who are doing their own take on the quilt. 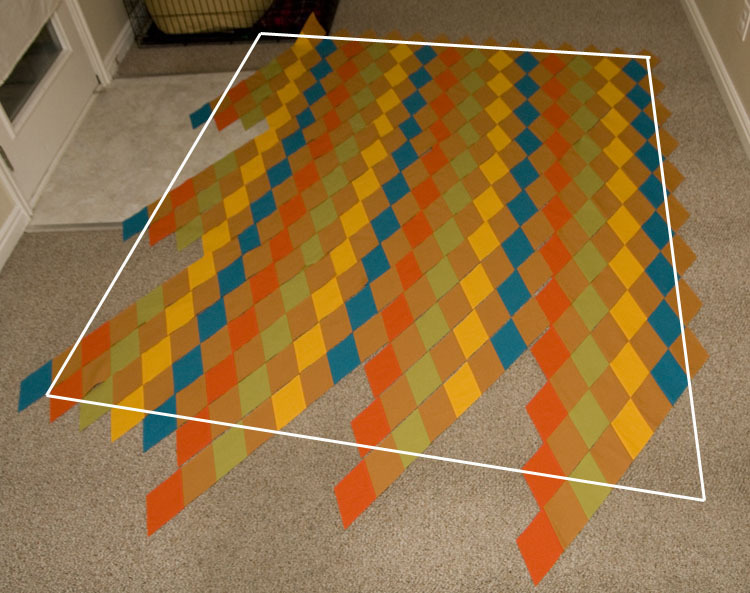 I started laying out the quilt using A strips. 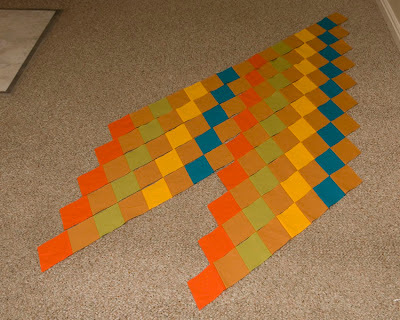 I then started adding rows with the other colored sections. 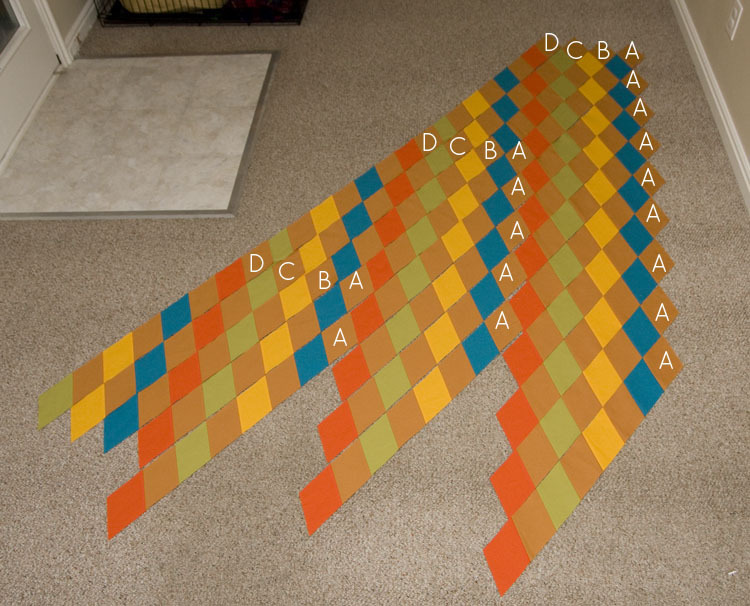 This is the same photo with letters showing where each different strip starts. This is my completed layout using whole strips. At this point I had to start unpicking strips because I only needed partial strips to fill these holes. Although it may seem frustrating to unpick some rows that are too long, I still find this method far faster and more accurate than piecing the diamonds individually. 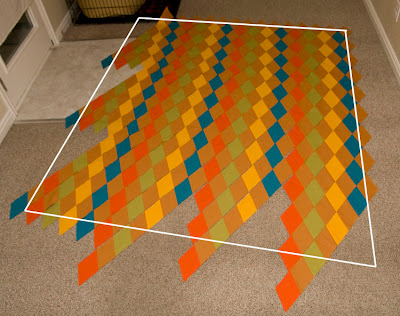 The white line show the approximate final layout for the quilt. I started in the top left corner to finish the design. 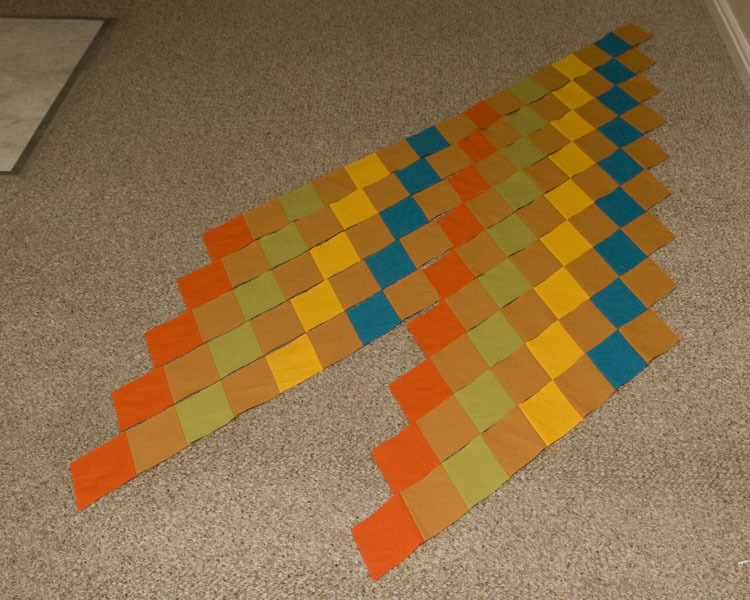 I chose a strip that would complete the row, and unpicked the unneeded diamonds. 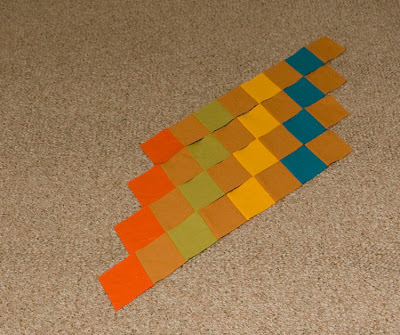 Those extra pieces were then used on the bottom right of the quilt to fill other holes. In the end every piece is used. This is how it looks after I have unpicked strips to fill the holes. Notice I'm missing some diamonds in the main color on the outer edges. You'll need to cut 28 extra diamonds in the main color to complete these outer edges. You can either use scraps if you had extra or cut these from 4" strips of the main fabric. Cut 4" individual diamonds at a 60 degree angle from 4" strips as shown the previous instructions. Check back tomorrow for piecing instructions. Thank you! Mine will be smaller and this really helps me understand what strips I'll need. Awesome! I'm going to have to look back on your instructions for sewing those strips together. Just a couple weeks ago I was sewing a border of diamonds and it nearly killed me - having to be so precise so they would all line up!